This new report commissioned by Oxford Civic Society, undertaken by Dr Nicholas Falk of URBED and based on five years of work, considers how central Oxfordshire should respond to the pressures for new housing. It follows the Society’s 2014 report “Oxford Futures: achieving smarter growth in Central Oxfordshire”, which called for “a spatial growth plan and a charter for sustainable development”. It is published as a contribution to work on the Oxfordshire 2050 plan and the Cambridge – Milton Keynes – Oxford arc. The report recommends that development should be concentrated around existing and new stations on the local rail network in Central Oxfordshire and Oxford, including the re-opened Cowley branch, and on the 200 acres of under-used land around a rebuilt central Oxford railway station. Applying the SwiftRail concept, frequent and fast local rail services will take traffic from congested roads and form the core of an integrated public transport network for Central Oxfordshire. We are calling this the ‘Oxford Metro’. Over time, main bus routes serving the city would be upgraded to ‘rapid transit’, and the city’s first tram line would be built from Botley to the Headington hospitals and university campuses. ‘Snowflake’ development gives high amenity and sustainable growth. Oxford has to change to meet increasing competition if it is to maintain its international position. This report draws on the experience of Oxford’s twin city of Grenoble and the comparable cities of Freiburg and Cambridge. There have been nine consultations with experts, including a symposium at the Houses of Parliament. Joining transport and development will improve public health by cutting car mileage. It will also help tackle Oxford’s housing crisis by mobilising land and finance. It will put under-valued assets to better use. There is a two-page summary of the report here. 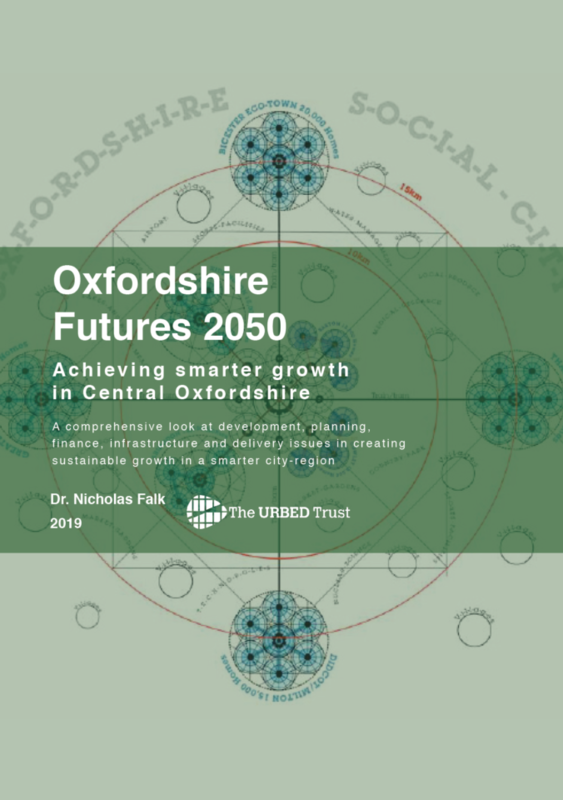 The complete illustrated report “Oxfordshire Futures 2050: a smarter vision for central Oxfordshire” is free to download or read online. I would much prefer trams to the current fleets of noisy and polluting buses. They would run more smoothly, as cars would keep out of the way of the tramlines. Trams without overhead wires would be best in a beautiful city such as Oxford: but can this type of tram really get up the hill to Headington? Trams are used in historic cities on the Continent, such as Freiburg and Heidelburg, because they allow their city centres to be traffic free. Modern trams are unobtrusive, because they can run on batteries in the centres, as in Nice for example. Single deck trams can carry 300 passengers behind one driver, and are much less domineering that double-decker buses as well as more economic to run along high density routes. 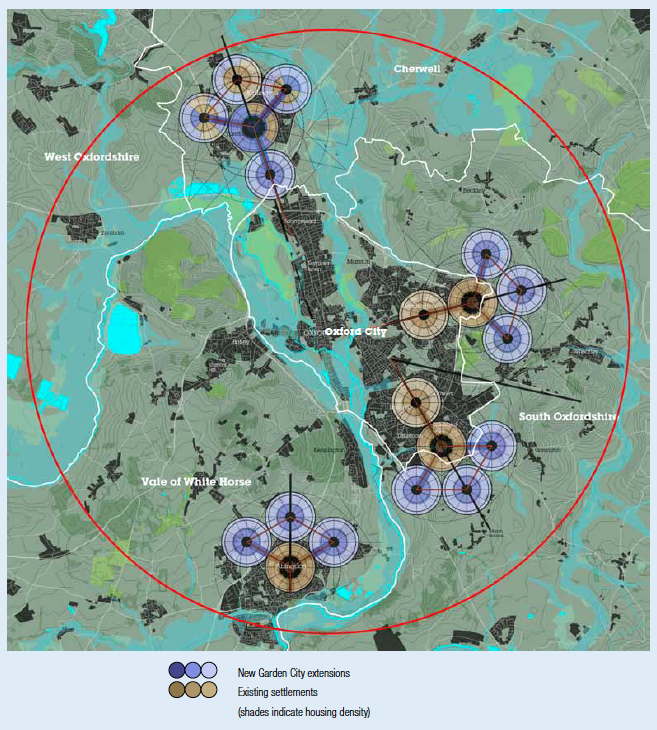 They also make cities much quieter, and cleaner, as steel wheels on steel rails do not create the pollutants that rubber tyres do (the Oslo effect). As a result public health can be improved. But first let Oxford make full use of its suburban railway lines, which are quite unobtrusive! Tram lines themselves do not have to be obtrusive, of course. And there will be those who think that sleek modern trams confined to specific tracks would be preferable – and have a lower visual impact – than the chaos of lumbering double-decker buses that we have at the moment in High Street and St Aldates. I hope Oxford will not be spoilt by tram lines. It is famous for its spires and towers which shoul be kept free for visitors and those of us who live here to see unmolested. Tram rails do not obstruct spires or towers. They lie unobtrusively in the road surface. From 1881 to 1919 tram rails caused no visual harm to the architecture of High Street, St Aldate’s and St Giles’. As an historian Ann will recall that in abut 1906 the tramway sought to get convert from horse to electric traction with the power supply buried in the road surface. But opponents including Henry Taunt spread fake news that there would be traction poles and overhead wires. Let us debate the real benefits of modern trams, not be distracted by baseless fears.